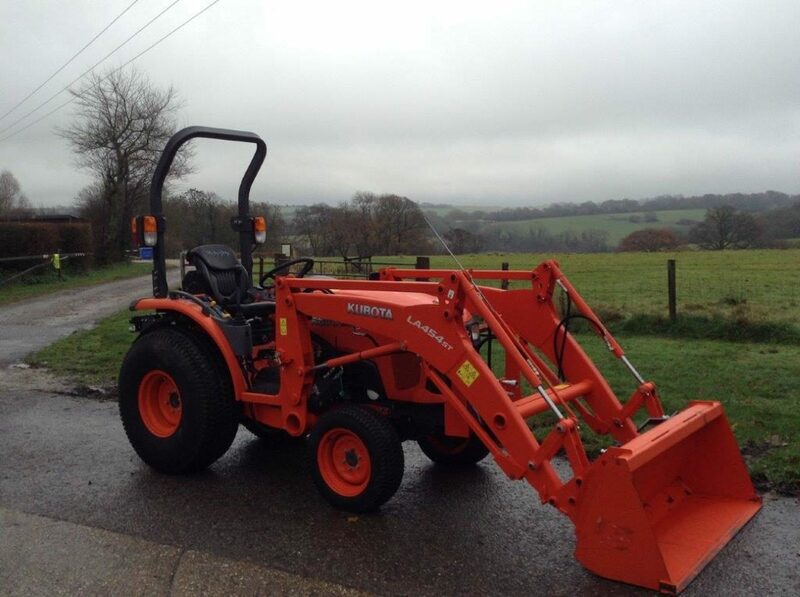 Description: Used Kubota STW40 fitted with Kubota Loader. 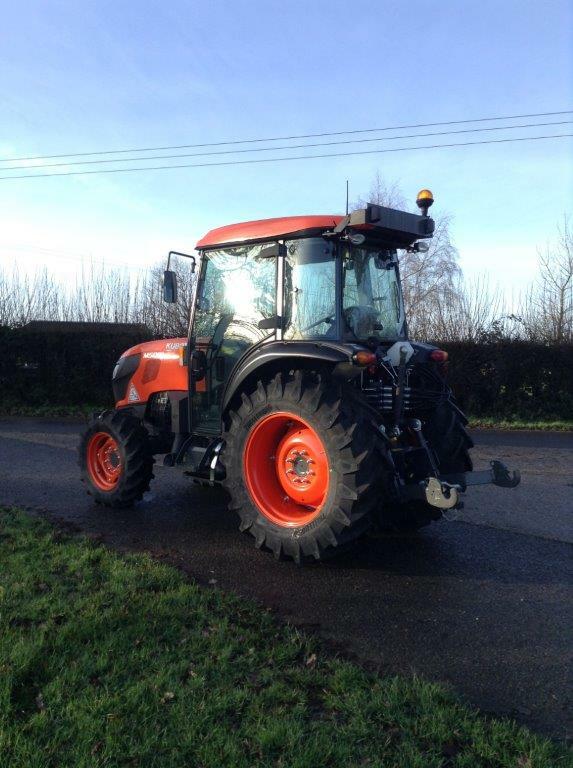 40hp, Hydrostatic Transmission, Power Steering, Turf Tyres. 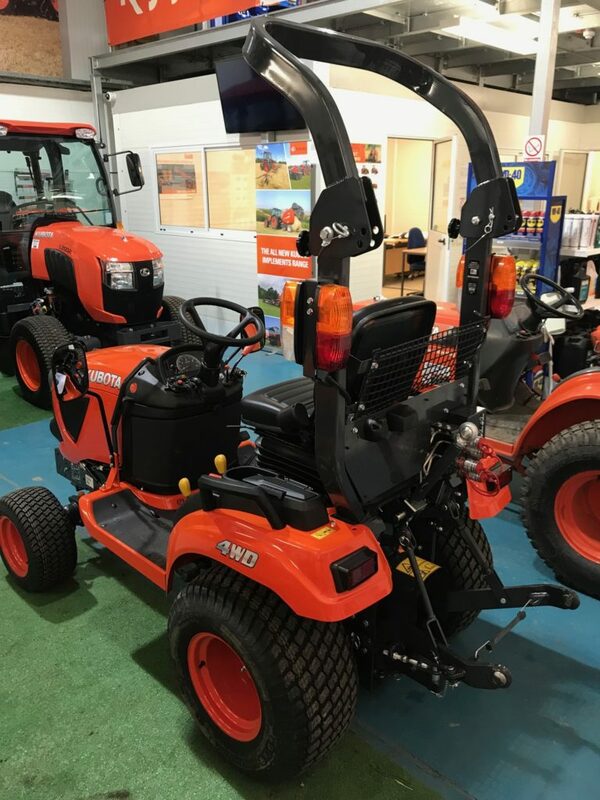 Excellent Condition and Supplied Fully Serviced. Contact us for a price and more details. Description: New L2501 Compact Tractor. 50hp, Mechanical Transmission, Power Steering, Turf Tyres, Full Cab with Air Conditioning, Optional Front Loader. 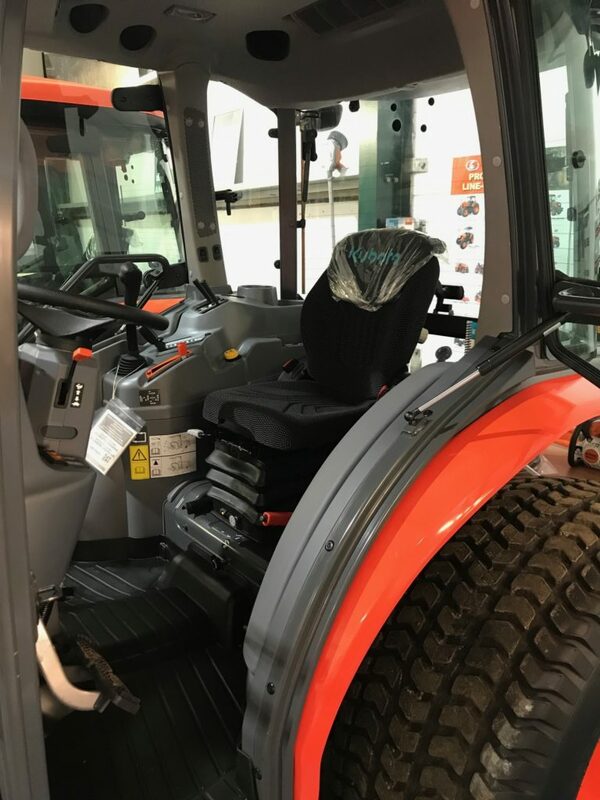 Standard 2 Year Warranty extendable to 5 Years with Kubota Care Package. Description: New L2602 Compact Tractor. 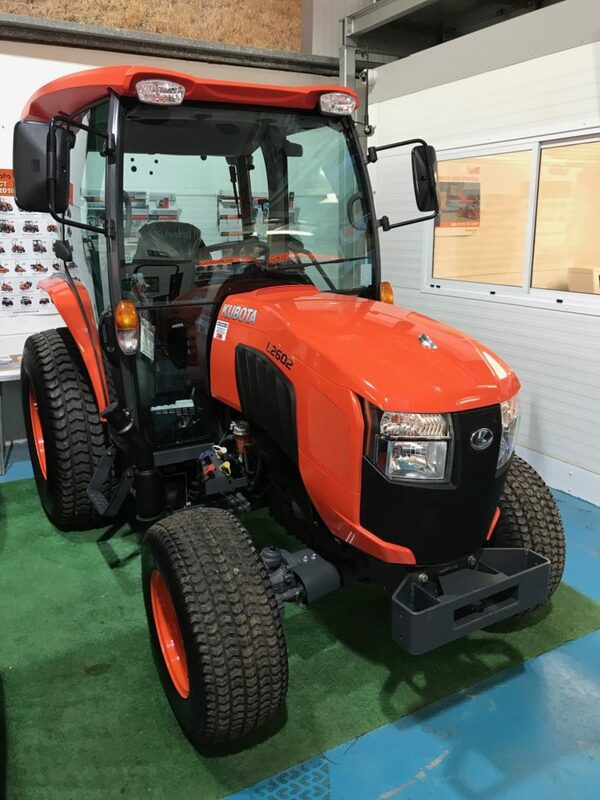 61hp, Hydrostatic Transmission, Power Steering, Turf Tyres, Full Cab with Climate Control, Optional Front Loader. 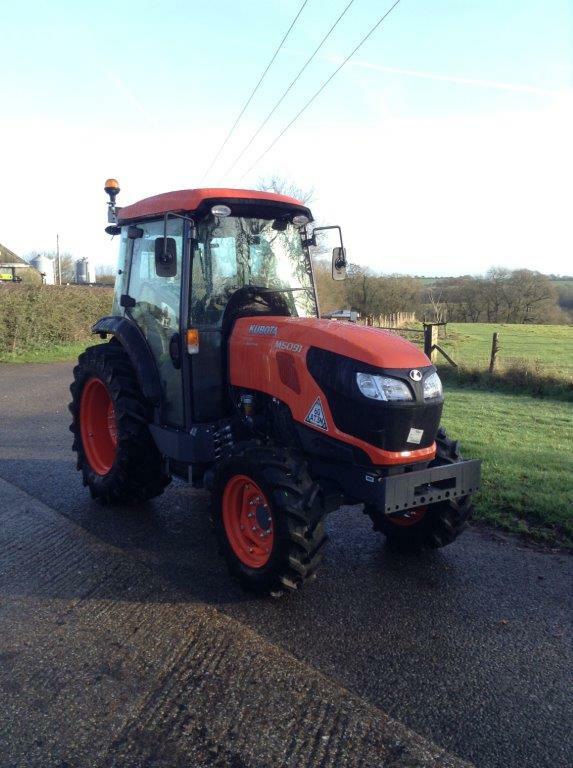 Standard 2 Year Warranty extendable to 5 Years with Kubota Care Package. 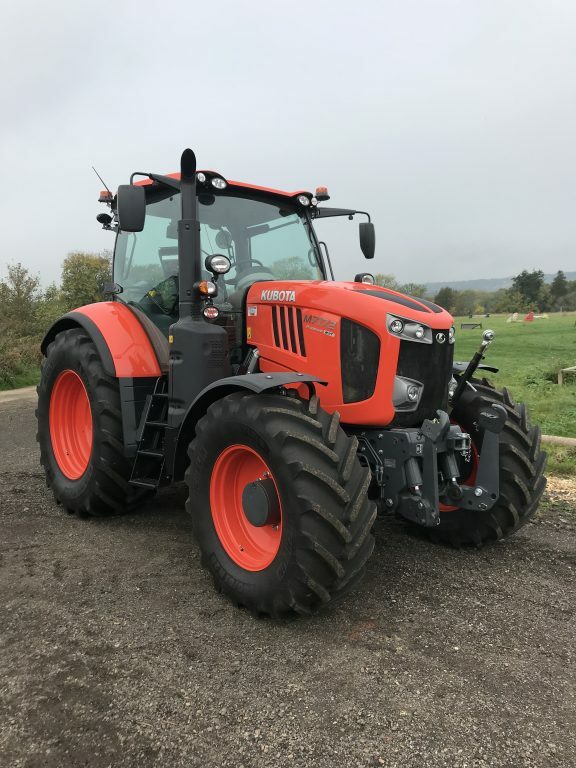 Description: New Kubota M5091N Orchard/Vineyard Tractor, 95hp, Mechanical Transmission with Hydraulic Shuttle, Front Linkage, PTO and Loader Options. 5 Year Warranty with 0% Finance. 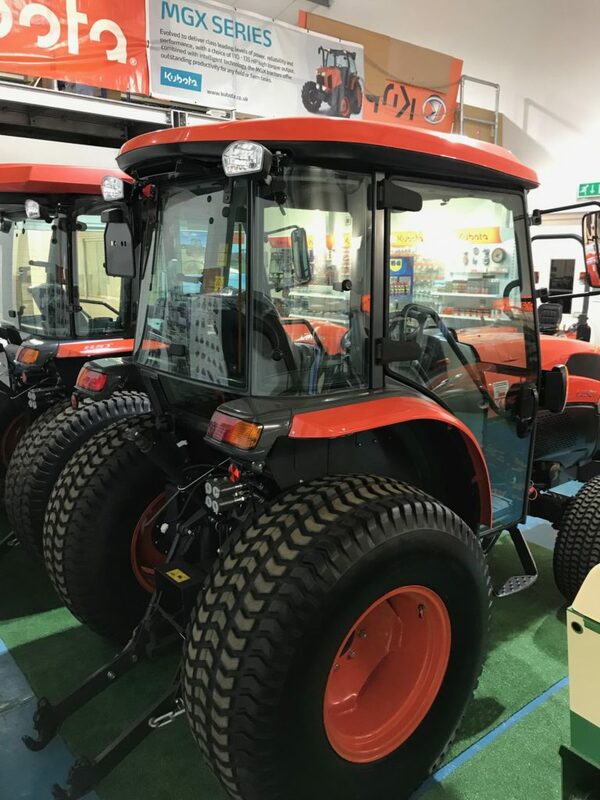 Description: New Kubota Premium M7172 KVT Tractor, 170hp with 5hp Boost. 50KPH CVT Transmission, Front Axle and Cab Suspension. 5 Year Warranty with 0% Finance. 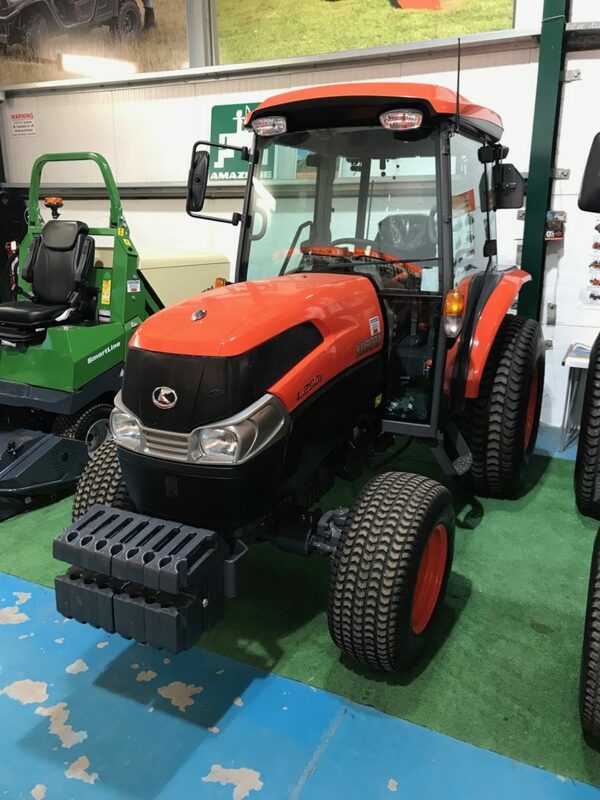 Description: New Kubota L1361 (36hp), Hydrostatic Transmission (HST), 4WD, Power Steering, ROPS, Full Manufacturers Warranty. 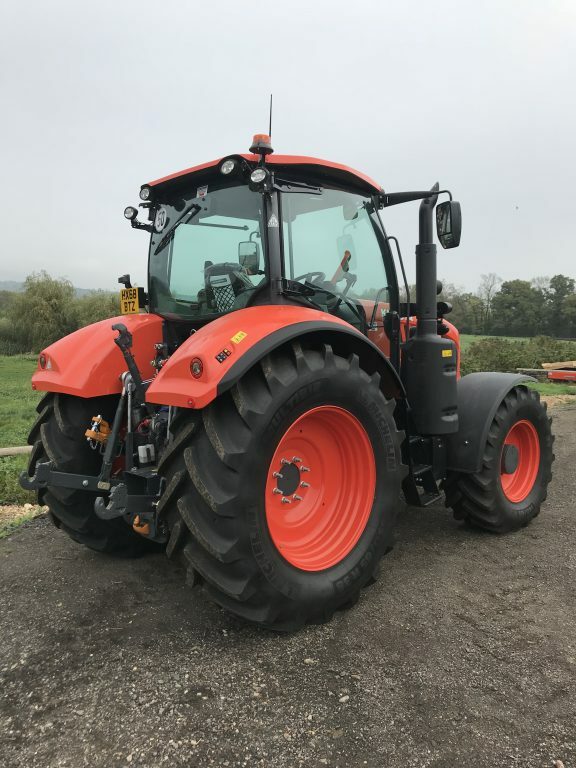 Description: Kubota TE6576 Tedder, 6 Rotors, 7.6m Working Width. Description: Kubota RA1542 Single Rotor Rake, 4.2m Working Width. Description: Various Sizes, From 9-54m Working Width, 700-2,800 Litre Capacity, Manual & ISOBUS Controls. Description: Kubota BV5160 Baler, Variable Chamber Up to 1.6m Bales, 14 Knives, ISOBUS Control. 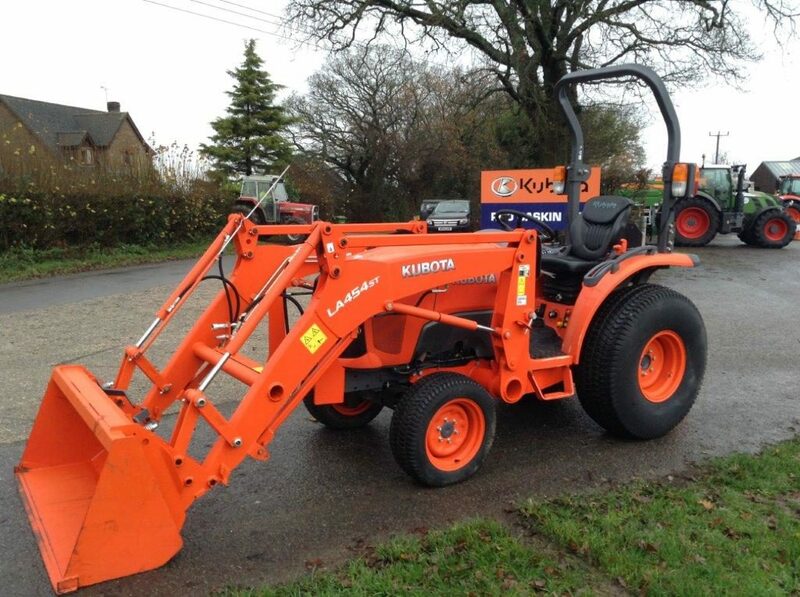 Description: Kubota SE3230 Flail Topper, 2.3m Working Width, Hammer Flails, Roller, Hydraulic Side Shift. 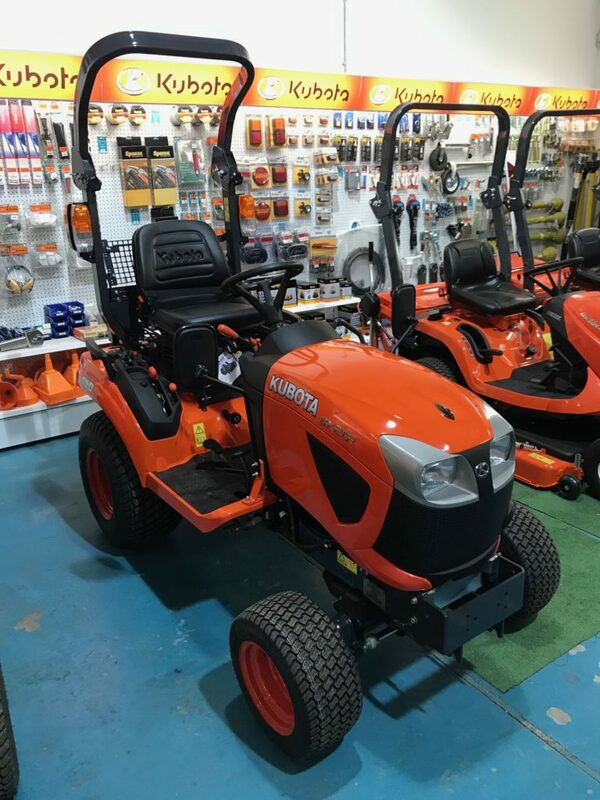 Description: New Kubota GR1600 Diesel Mower (12.5HP) 42' Cutting Deck with Collector. Description: New Kubota GR1600 Diesel Mower (12.5HP) 42' Infinity side discharge/Mulching Deck. Description: 19' & 21' Wheeled and Roller versions in stock. Honda 8hp Engine and 1 Year Commercial or 2 Year Domestic Warranty. © 2018 Rod Gaskin Ltd. Registered in England Number 02965774. Authorised and regulated by the Financial Conduct Authority. All Rights Reserved.